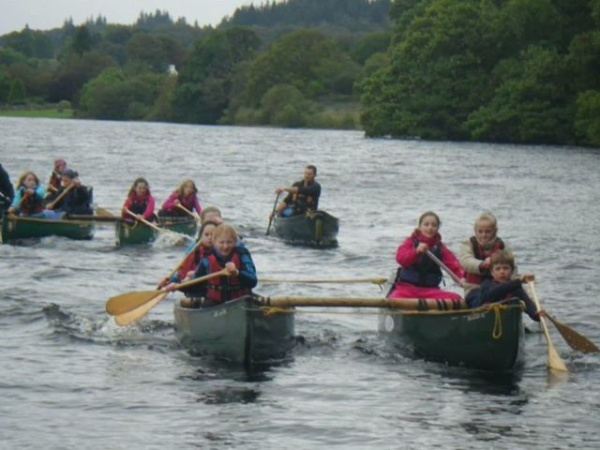 On the 24th of September 2013, P6/7 from port Ellen primary went to Oban for the Stramash trip. When they arrived they were split into to groups for their rooms and activities.They did many activities, but two of them were canoeing and bush craft. To start with they paddled around Loch Nell with all the supplies they needed to make a shelter and a fire for the night. When they arrived at the place they were going to do bush craft, they began going through a check list for surviving in the wild. The first step was to make sure that they all had oxygen, which they did! Next was to make sure that we had sufficiant body warmth, they all had that too but their temperature would drop with the surrounding temperature. So they needed a shelter to help conserve their body heat and to build a fire. They made shelters in groups and learned how to light a fire with firesticks and roasted marshmallows. It was great fun!